USB sticks are reusable and bootable media. 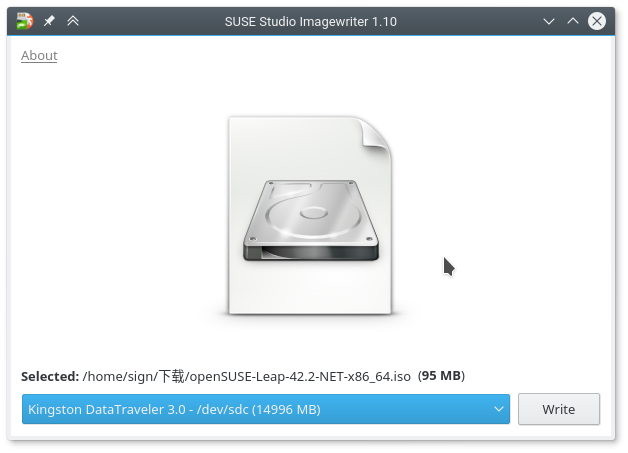 If you have no writable DVD disk, you can write openSUSE installation image into a USB stick. 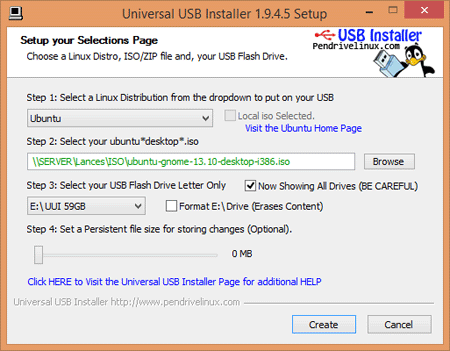 You need to download a DVD or Network installation image (ISO file) before creating the installation USB stick. To write DVD images, your USB stick must have at least 5 GB storage space. To write Network images, your USB stick must have at least 100 MB storage space. NOTE: All data in the USB stick will be erased! Backup all contents before writing the images. You need a working PC to run the bootable USB creation tool. ImageWriter can be run on openSUSE. 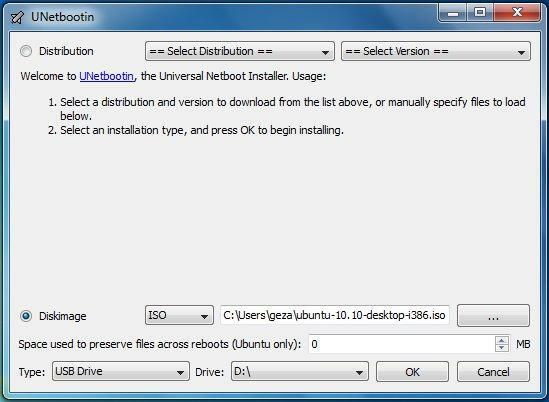 UNetbootin can be run on other Linux distributions, Microsoft Windows and Apple macOS. It takes several minutes or longer, depending on image size and hardware performance. Run it. You will see a simple application window. Select device type "USB Drive"
Plug your the USB stick into computer. System will restart and boot from the USB stick. Then you can follow the normal DVD installation instructions. This page was last modified on 22 May 2018, at 22:22.